With an objective to commemorate its 20th anniversary in Indian car market Honda Cars India Limited, the Indian alliance of Japanese car maker Honda Motors has offered beneficial deals on all models of its portfolio. The Indo-Japanese car maker will be celebrating its successful existence in Indian car market from November 4th to November 7th 2015 and will be celebrated through all the dealers across the country. Honda Brio: At an EMI of Rs. 5,650. The total benefits are upto Rs. 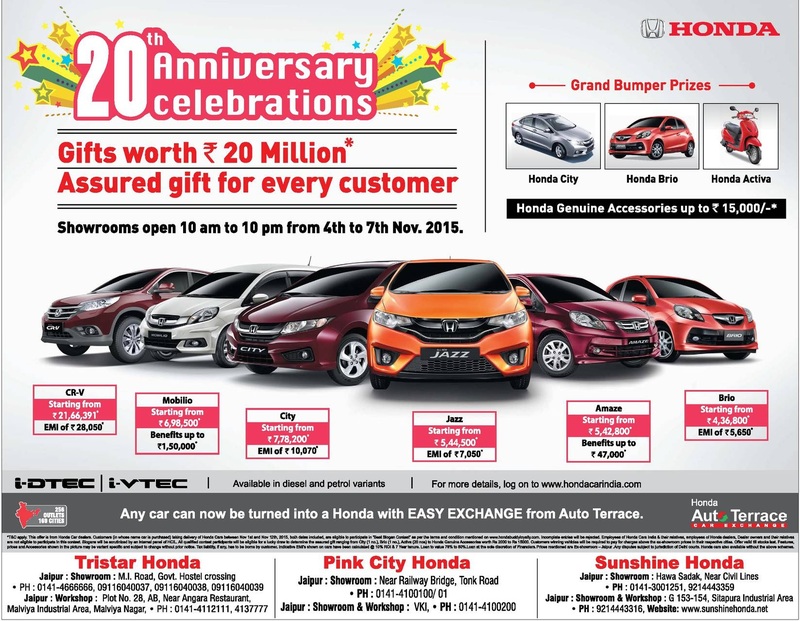 20 million followed by assured gifts to every buyer of Honda Cars !!! !